Blepharitis is an eye complication that is characterized by scratching of the eyes, irritation, reddening, and dryness in the eyes. Though this complication is not directly as a result of applying eyelash extensions, it is common to those people who wear eyelash extensions and do not take proper care of the lashes daily. Cleaning of eyelash extensions will not only make the lashes look beautiful, it will keep you free from complications that may result from the accumulation of dirt in the lash extensions. Clean and sanitize the eyelids properly every day. Ensure that you get rid of every makeup in the eye region using the right products to avoid damaging the lash extensions. 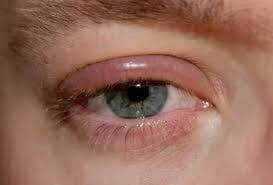 If you notice a reddening in the eyes, scratching, or any other symptom that you are not sure what the cause is, go to a doctor for further examination. If it is blepharitis, he will give you the right directions so that the bacterial infection can be completely removed from your eyes. If you previously had blepharitis before the application of eyelash extensions, you should avoid the lash extensions until you are sure that the problem is over. Do not shy away from informing the aesthetician of this fact so that you will not end up using a lot of money on lash extensions and then remove them due to a health complication. After the bacterial infection is cleared off, you should not use the beauty products that you were using before the infection was detected as this may make the problem to recur. Instead, you should buy new products as this is the only way you will be guaranteed that the problem is completely cured. Eyelash extensions require utmost hygiene and if you cannot maintain this, do not apply them as this will only lead to infections of the eyes.